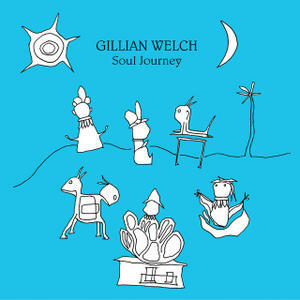 So I’ve posted plenty of songs here from Gillian Welch. And with good reason – in my book she can do no wrong. But until now I haven’t posted anything from fellow partner-in-crime, Dave Rawlings. So ahead of a brand new album from him later this month, I thought it time to right that wrong. To be fair, it is somewhat artificial to make this split between Welch and Rawlings. The two have been inseparable in their recording and performing career, and are very much a democratic duo. It’s just that for each recording they have chosen one or other of them to act as the front to the other. True, Welch was four albums in before a Rawlings album appeared. But of late it has been Rawlings who has been more prolific, with the new album, Poor David’s Almanack, being the third in a period when Welch has only fronted one (albeit that was the totally sublime, career highlight that was The Harrow and The Harvest). Together they plough a very traditionalist furrow, drawing on various roots traditions such as folk, bluegrass, country and old-time music, whilst at the some time having a sound that is all their own, and oddly contemporary. And in many ways the songs could interchange between the two of them. Short Haired Woman Blues, as an example, falls into that classic Welch/Rawlings stock of languid, stretched-out ballads that I just love. For me, these songs could go on forever and never outstay their welcome. And so to the song sheet. A little more complicated this one, though not excessively so. There’s a batch of chords in there, not all of which are stricty accurate compared to the original, but ones which act as a (to my ears) reasonable sounding translation of the subtleties of the original guitar chords to the ukuele. In particular, that chord labelled and shown as B5 isn’t actually B5, but I think it fits OK into the song at that point. To my mind the song is best played pick (although I’m certainly not attempting to emulate Rawlings wonderful playing! ), but it can be strummed as well. Timing can be a little tricky in places, but listen to the original and you’ll get the feel. Note the song sheet is in G, whilst the original is in G#. So capo 1 if you want to play along with the original. Enjoy! Categories: Country, Folk, ukulele chords | Tags: 2010s, 2015, Country, Dave Rawlings, Folk, Gillian Welch, ukulele | Permalink. I’m not great at keeping up with new music. But come December I’m often scouring and sampling the end-of-year best album lists to see what’s gone down well, and what might appeal. Let somebody else sort the wheat from the chaff, I figure. 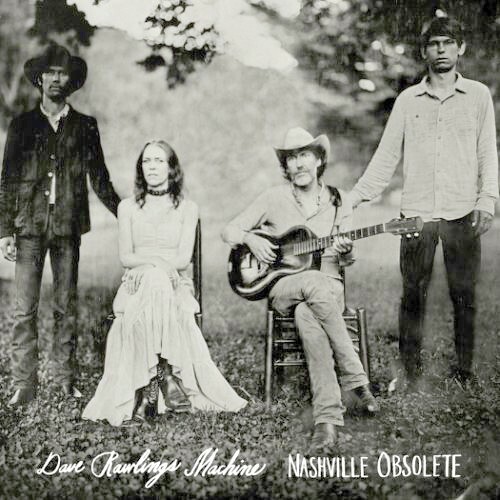 So it was whilst doing that at the end of last year that I came across an album that was consistently in the upper echelons of those lists, at least in the Country music variety, and sounded up my street. One play through the album and I was hooked. Many, many plays later and I regard it, and it’s immediate predecessor, as stone-cold classics of heartfelt, intelligent, incisive songwriting, coupled to performances that are sheer class. The album is Big Day In A Small Town. 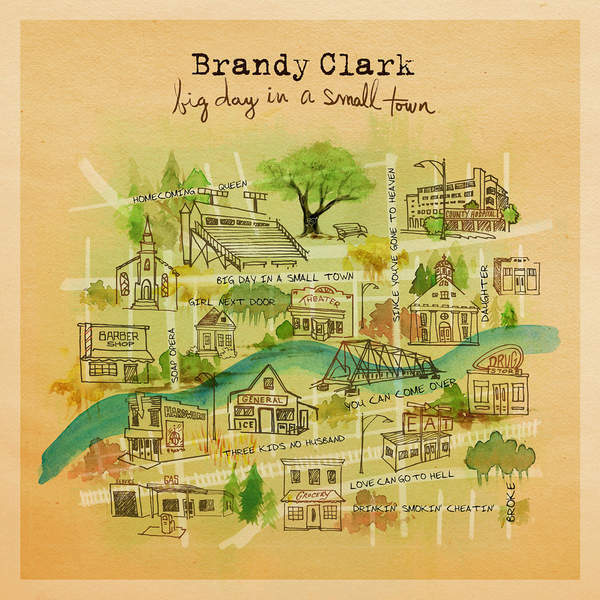 The artist is Brandy Clark. Clark has been around Nashville for years, penning songs that have been recorded by the likes of Reba McEntire, Miranda Lambert, LeAnne Rimes and Kasey Musgraves, but it wasn’t until 2013 that she was able to record 12 Songs, her first collection of her own material. Critically lauded at the time, and hitting high in many of those end-of-year lists, 12 Songs did no more nor less than what it said on the tin. But what a collection of songs! Taking its cue from many of country music’s tried and tested themes, Clark treads a fine line between cliche and genuine insight, showing a real heart for the people of small-town america, without succumbing to some of the more reactionary viewpoints that can be associated with that. Three years later she followed 12 Songs up with what is – in my mind – an even more impressive collection of songs. Again, doing what it says on the tin, Big Day In A Small Town is loosely themed around the ups and downs of life in such a small town. In that context (or indeed, any context) Homecoming Queen is a highlight, a poignant tale that looks back on how the life of a woman didn’t quite match the expectations that she might have had for herself when she finished high school. It’s a beautiful and heartbreaking song, one that is full of humanity and compassion, and one that I’m sure everybody can relate to at some level. The song was originally recorded by Sheryl Crow on her Feels Like Home album. Whilst it’s good, I prefer Clark’s version, which you can hear below, or alternatively listen to this stripped back acoustic version. So here’s the song sheet. As with most country songs, there’s nothing too complicated here. I’ve thrown in a few little flourishes – the F4 in the intros and interludes that kind-of approximates to the original, and the C7s leading into the chorus, which are certainly optional and down to preferences. This is a great song (have I said that already!) so enjoy. Categories: Country, ukulele | Tags: 2010s, 2016, Brandy Clark, Country, Sheryl Crow, ukulele | Permalink. Don’t ever let it be said that there’s no variety on this site. 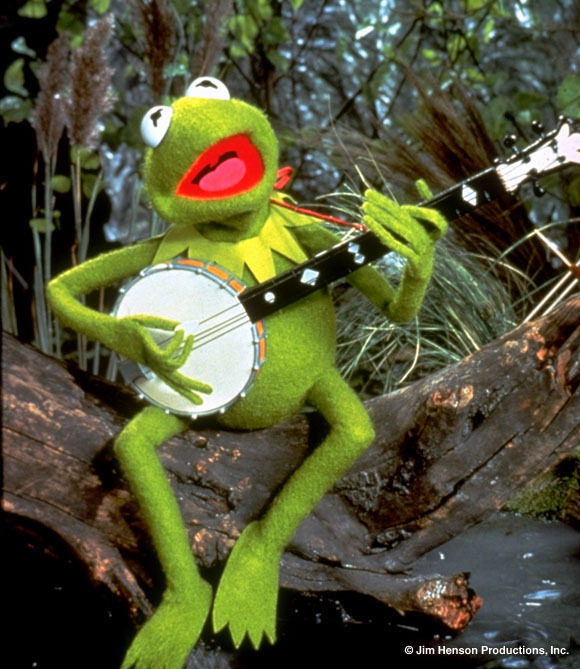 From 80s synthpop and soulful grooves, we now move on to a song made famous by a singing frog playing the banjo! Rainbow Connection, however, is not your average glove-puppet inspired tune. The work of two highly respected composers and arrangers, Paul Williams (“We’ve Only Just Begun”, “Rainy Days and Mondays”, “Evergreen (Love Theme from A Star Is Born)”) and Kenneth Ascher, the song first came to the consciousness of the world via. The Muppet Movie, where it was performed by Kermit the Frog. Performing a similar role in that film to the similarly-themed “Over The Rainbow” in The Wizard Of Oz, the song is a surprisingly wistful song that looks yearns and dreams for, and holds out the hope for, a better life. Nominated for an Academy Award (it lost out to “It Goes Like It Goes” from Norma Rae – no, me neither!) it has over the years turned into a true standard. 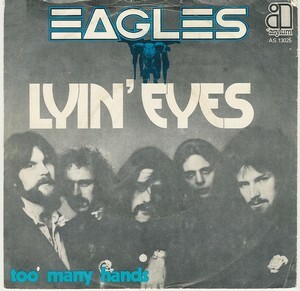 Subsequently reprised in The Muppet Show in 1980 as a duet with Debbie Harry, it has since gone on to be covered by a whole host of artists including The Carpenters, Sarah McLachlan, Willie Nelson, Ed Sheerhan, and my personal favourite version by The Dixie Chicks. There are quite a few Rainbow Connection song sheets out there, so why another one? Well this was put together for when our band, The Flukes wanted to perform it (you can see/hear it below – excuse the slightly fluffed intro and solo from yours truly! ), and none of the versions out there quite worked for us. So firstly this version does away with the key change, thereby avoiding a host of horrible chords! Secondly, I’ve also include (a) the opening riff, and (b) a solo for the middle, which started off based on The Dixie Chicks version, and then morphed into some kind of amalgam of a number of versions. Anyway, I think the whole thing is better picked than strummed, but that’s my opinion, and you’re free to ignore it. Enjoy! Categories: Country, Musical | Tags: 1970s, 1979, Country, Muppets, Musical, ukulele | Permalink. Sometimes a song arrives so perfectly formed that its difficult to believe that there was a time when it didn’t exist. And sometimes a song becomes so iconic that it overshadows the artist that created and performed it. I think both of those things apply to this classic. Ode To Billy Joe is a song, like You’re So Vain or American Pie, that has created a huge amount of debate, discussion and speculation. Originally the b-side to her debut single, Mississippi Delta, Ode… started picking up US airplay and eventually topped the charts there. It’s sparse sound was a contrast to the country rock sound of Mississippi Delta, but it is the enigmatic lyrics that have given the song its long-lasting mystique. 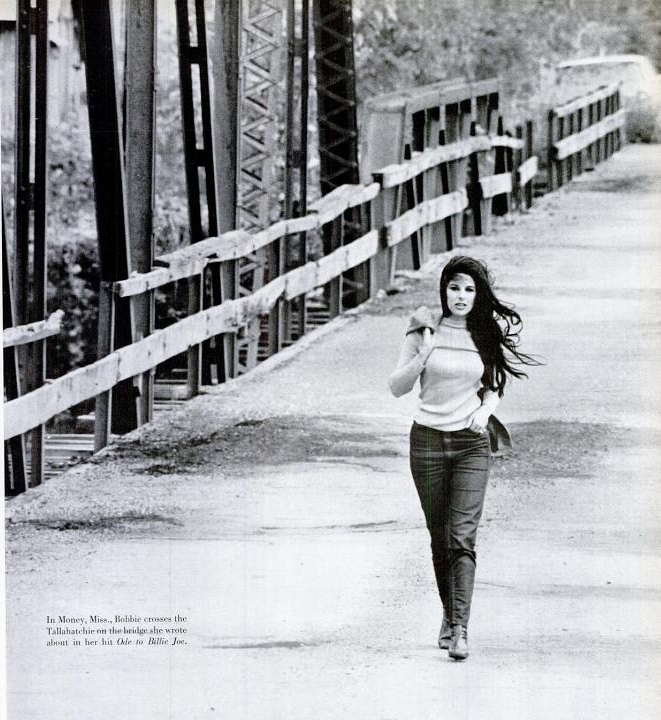 Exactly what did Billie Joe and his girlfriend throw off the Tallahatchie Bridge? Why did Billie Joe commit suicide? I’m not going to add to the debate that has ensued endlessly since the songs original release (see here and here for a flavour of that) – suffice to say it is one of those debates that will run and run. Gentry never really eclipsed this performance (hard to see how that could be possible) despite a series of classy releases. She had continued success in the late 60s and early 70s, but effectively dropped off the public radar by 1972 to focus on television production work, and disappeared entirely from public life in the early 1980s, lending to her own life a degree of the mystery that surrounded this her most iconic song. There’s not much to say about the song sheet. It’s a simple set of blues-flavoured chords. Just keep the rhythm simple and sparse, and it will sound great. 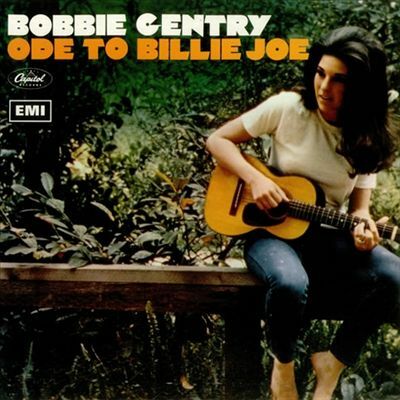 Categories: Country | Tags: 1960s, 1967, Bobbie Gentry, Country, Singer-Songwriter, ukulele | Permalink. I only came across Rhiannon Giddens about a month ago, following one of those “customers who brought x also brought y” trails on Amazon. And she was something of a revelation. Rhiannon is better know – if she is known at all – as singer, violinist and banjo player in old-time American music revivalists Carolina Chocolate Drops (and isn’t the world a better place knowing there is a band called Carolina Chocolate Drops in it!). 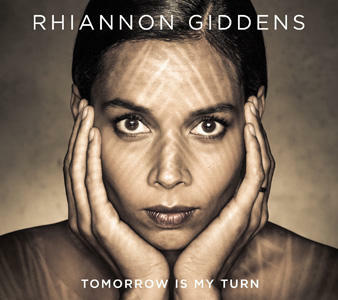 Classically trained (she studied opera), she has just released her debut solo album, Tomorrow Is My Turn, which acts as a show-case for a hugely versatile talent, mixing country, gospel, jazz, blues, chanson and more. One of those is this Dolly Parton song. The opener from Dolly’s 1969 album, In the Good Old Days (When Times Were Bad), this was recorded during the time she was partnering with Porter Wagoner, and before she had really established herself as a solo artist. One thing it does is affirm, again, the often over-looked song-writing ability of Dolly. In all the country show-biz caricature and cartoon quality that has grown up around Dolly, people often ignore what a great songwriter she is. The author of classics like Jolene, Love Is Like A Butterfly and I Will Always Love You (the original is a breath of fresh air of you’re only familiar with the Whitney Houston version). Don’t Let It Trouble Your Mind is not as well known as any of those, in fact it is relatively obscure, and yet it bears all the hallmarks of a classic, whether in the original by Dolly, or in the excellent cover by Rhiannon. So here’ the songsheet. As a country song, there’s nothing too complicated here, although the timing is sometimes a little unexpected. The song sheet includes the song in two keys – the first (C) a little easier to play and (for me) to sing, the second (Bb) consistent with the originals by both Dolly Parton and Rhiannon Giddens. Categories: Country | Tags: 1960s, 1969, 2015, Country, Dolly Parton, Rhiannon Giddens, ukulele | Permalink.